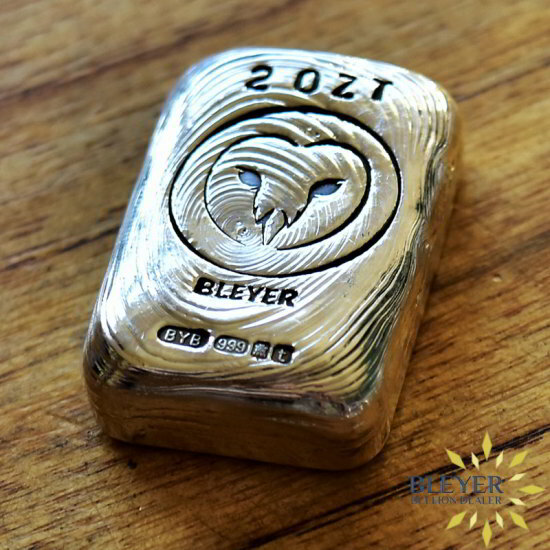 Available direct from Bleyer Bullion. 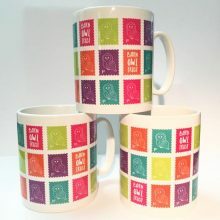 £5 from the sale of each bar goes directly to The Barn Owl Trust. 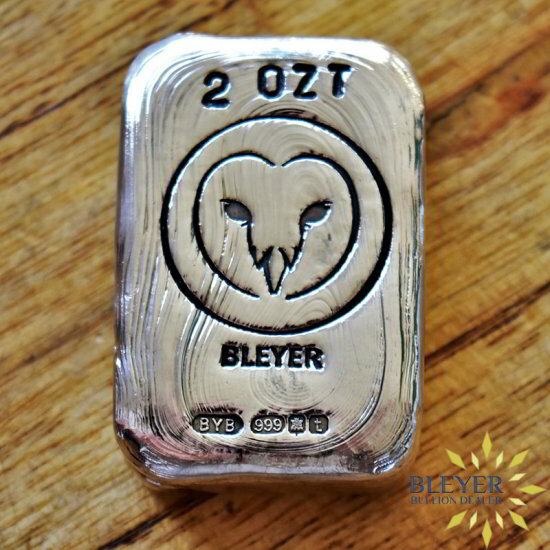 Limited edition two ounce Silver Bleyer Owl bars hand poured by Backyard Bullion. Each bar contains a minimum of 62.207 grams of .999 fine silver. 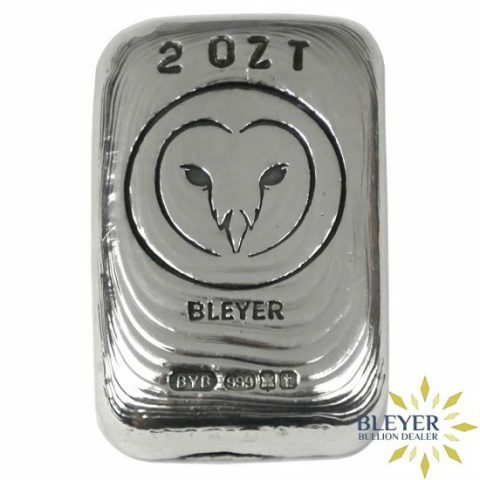 Silver Owl bars minted in 2019 are supplied as new in brilliant uncirculated condition. Extremely limited, a maximum of 100 bars in this shape and design will be minted in 2019. 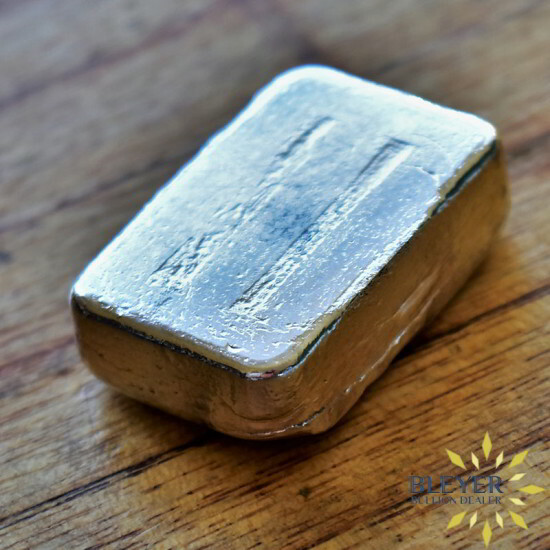 Handmade and poured by BackYard Bullion, antiqued and hand polished. 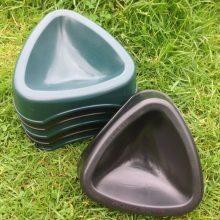 Price £75 including VAT & fully insured UK delivery. UK Hallmarked at Edinburgh Assay Office giving assurance of purity. Bars will be supplied in small pouches with certificate of authenticity. 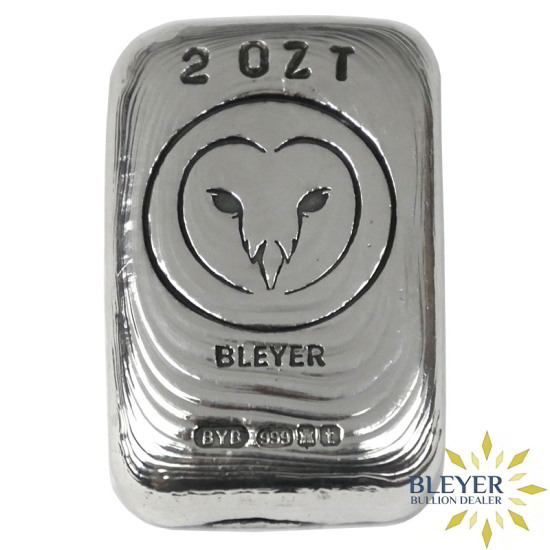 Design features the distinct heart shaped face of the Barn Owl alongside the word “Bleyer”, the bar weight, the year “2019” and hallmark. 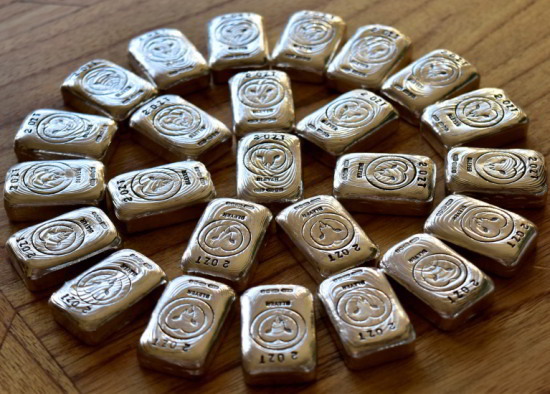 We also wanted a charity to benefit from the creation of our hand poured silver bars. 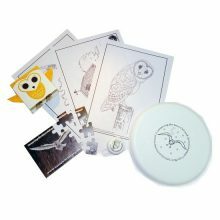 The charity we chose is The Barn Owl Trust. 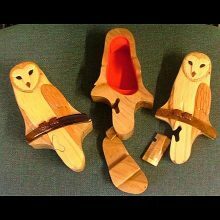 We love embracing our rural location here in North Devon, and The Barn Owl Trust is a small local charity who have supplied and maintained the barn owl boxes on our farm for many years. They do incredibly important work to help maintain the population of barn owls here in the UK, which are sadly on the decline. Our barn owl boxes have produced many chicks over the years. During this time, volunteers from The Barn Owl Trust have helped these beautiful birds making the tricky transition to adulthood. They have been on hand to answer our questions, visit our farm, maintain the boxes after the harsh winters – all without a word of complaint or single request for money. 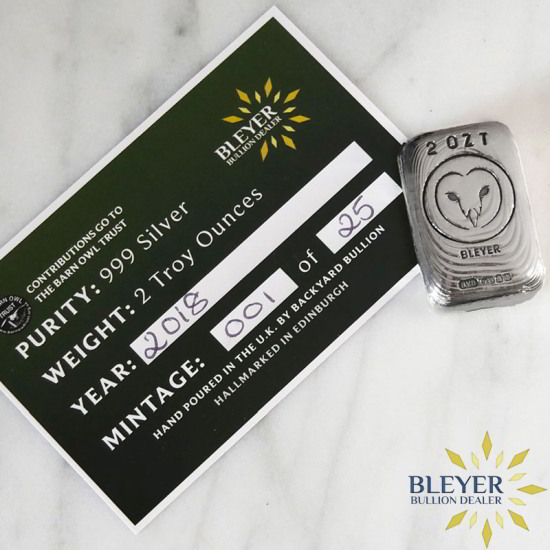 It is time we showed our appreciation for all their hard work helping these stunning owls and so are proud to announce that £5 from the sale of every 2oz Silver Owl bar will go directly to The Barn Owl Trust.